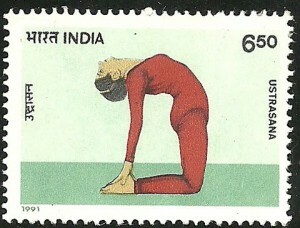 Shoulder stand is a great pose for fatigue, stress, and digestion. As well as this, it stretches the shoulders and neck and helps tone the legs and buttocks. Due to half term holidays, tomorrow’s (30th October) class at LeSoCo will be cancelled. Apologies for the short notice. Back to normal next week. Since the ribs and thoracic spine are attached it makes sense that breath will effect the movement of the thoracic spine. 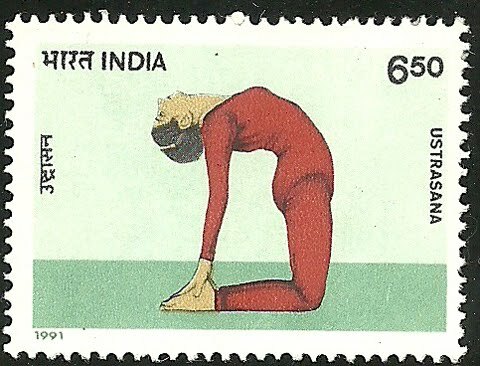 Every inhalation is accompanied by a gentle forward bending of the thoracic spine, while on every exhalation the opposite happens, and the spine moves through extension… So it makes absolute sense to move into extension postures as we breathe out, if our intention is to access the thoracic spine. Anything else would be going against the intelligence of the body. Taken from ‘Intelligent Yoga’, Peter Blackaby. In everyday life it can be easy ‘live in’ and be more aware of the front part of our body and forget the back, for example, the back of the lungs when we breathe, the back of the knees when we walk, back of the neck, hips, eyes… A yoga sequence which draws our awareness to the more neglected parts of the body can help deepen poses and creates a true balance between the front and back of the body, enabling us to see the body as a whole by refocusing our attention and reliance on less dominant parts of the body. This is turn may help change certain unhelpful patterns in the body. There are some great illustrations which show how poses can actually feel. 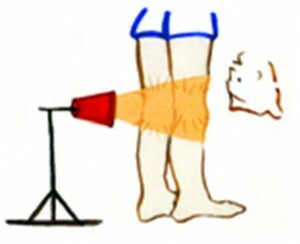 So to draw attention to the back of the knees in uttanasana (forward fold), we can imagine a sun lamp behind the knees. ‘Exhale down through your heels as you enjoy watching the backs of your knees softening in the warmth, keeping the knee caps lifted.’ Su Sareen.